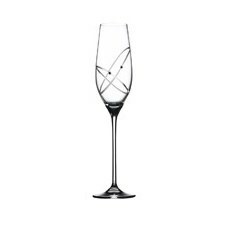 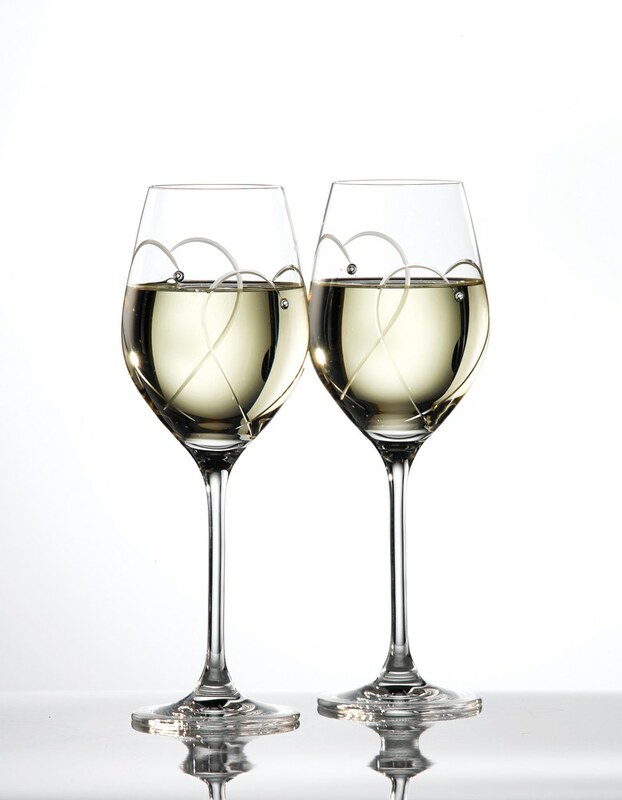 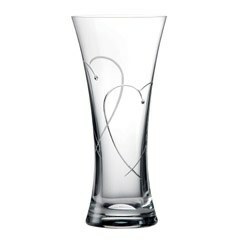 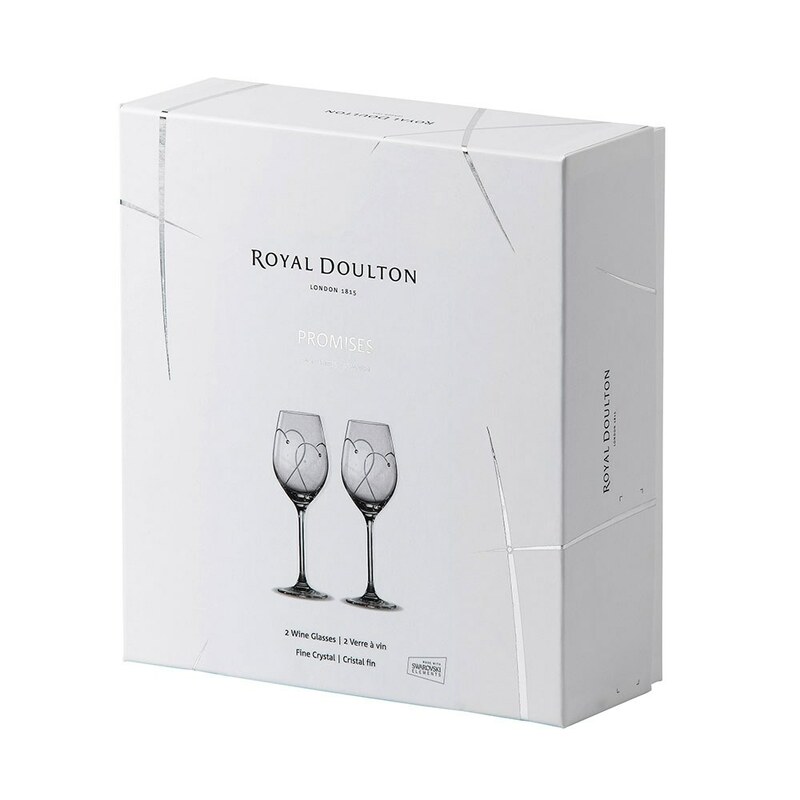 Featuring two etched intertwined hearts, this pair of "Two Hearts Entwined" Wines is perfect for gift giving for special occasions including weddings and engagements. Designed with love and celebration in mind, the Promises collection is made from crystal glass and features hand applied Swarovski crystals. 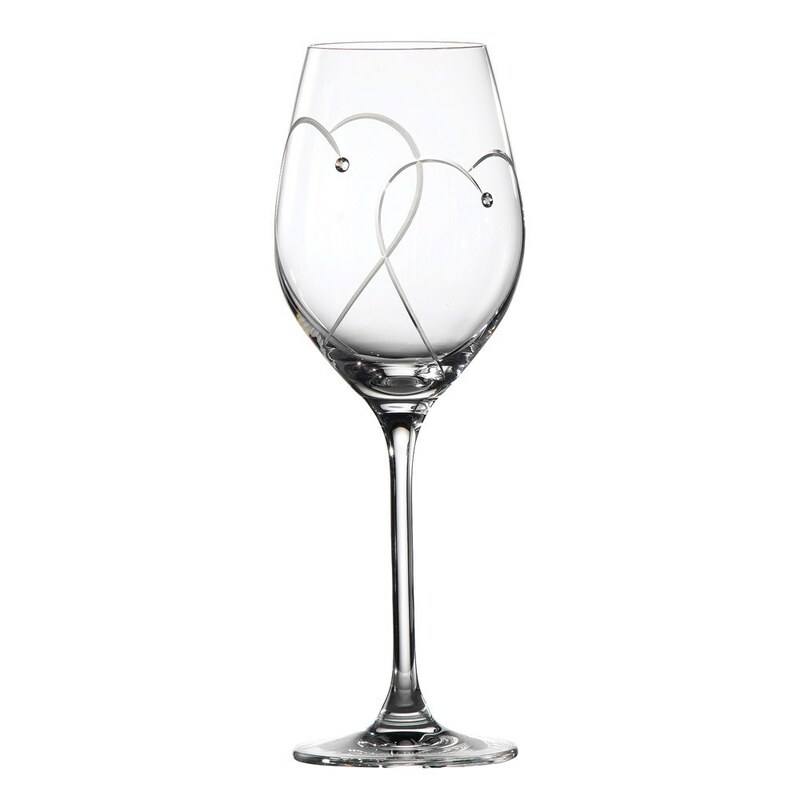 Featuring two etched intertwined hearts, this pair of "Two Hearts Entwined" Wines is perfect for gift giving for special occasions including weddings and engagements.